AcoustiWeave™ screens bring you a true high-performance cinematic experience by allowing you to place the speakers directly behind the screen. This is particularly useful with larger screen sizes as it keeps the left/center/right in the action, not on the outside of the screen. To create the ultimate home theater, combine these screens with either our Episode ES-Series in-room (with custom alcove) or in-wall speakers. 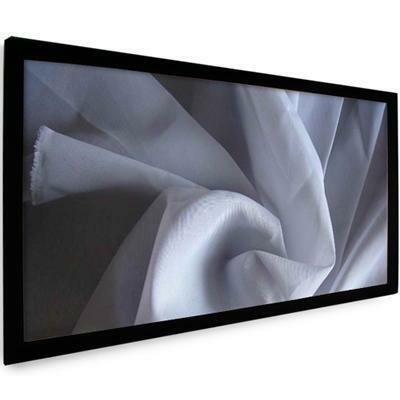 Additional Information Rigid aluminum, velvet covered frame; Fixed screens include our Set-n-Lock mounting system; AcoustiWeave™ acoustically transparent screens.